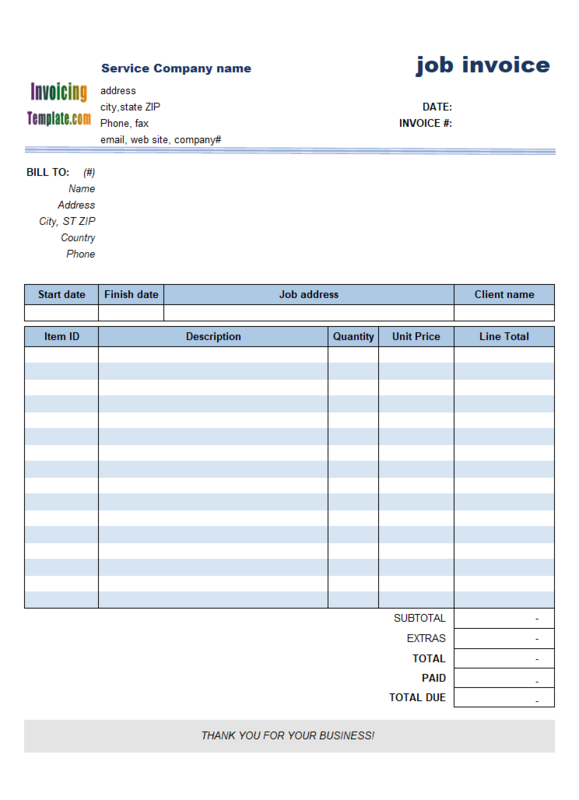 Medical Invoice Template (2) is a variant of Medical Bill Sample (1). 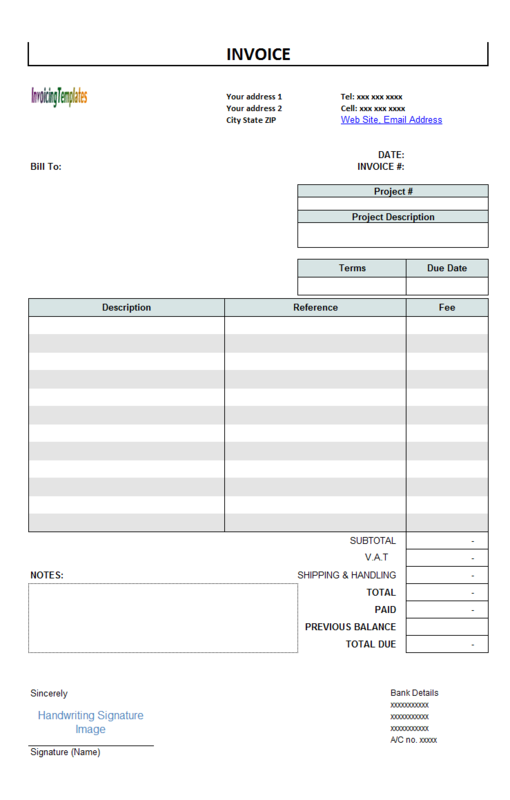 This customized medical invoice format differs from the original medical invoice form by being printable on landscape paper orientation. 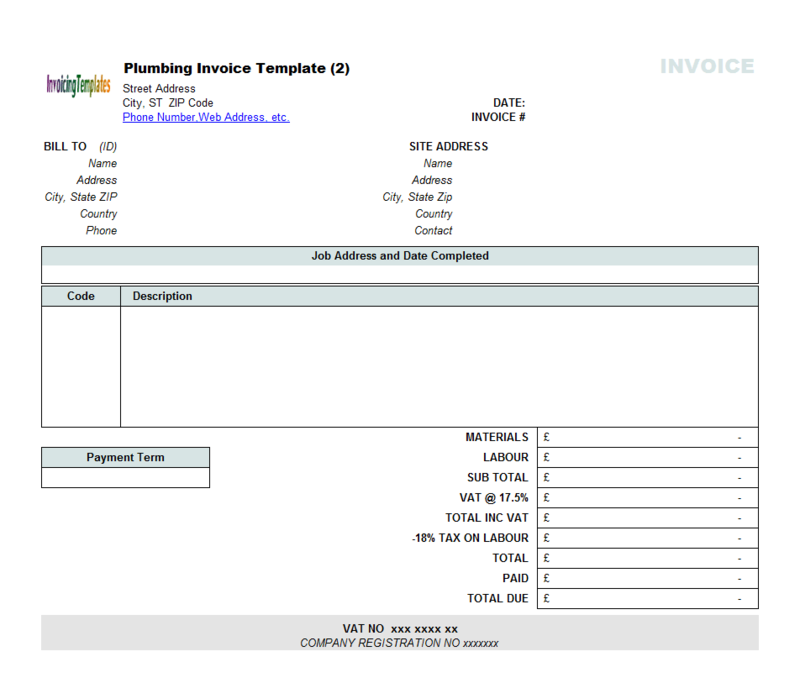 c7017 now includes the customized invoice template for the latest version of Invoice Manager for Excel. 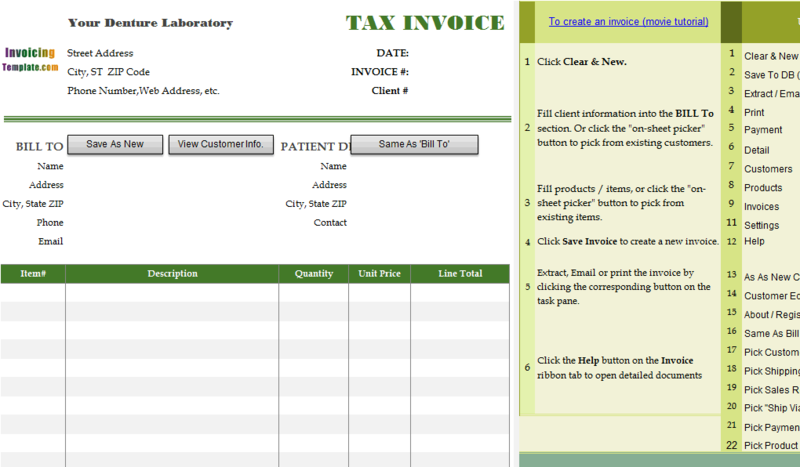 This is what you will see when you open medicalinvoicetemplate2.xlsx. 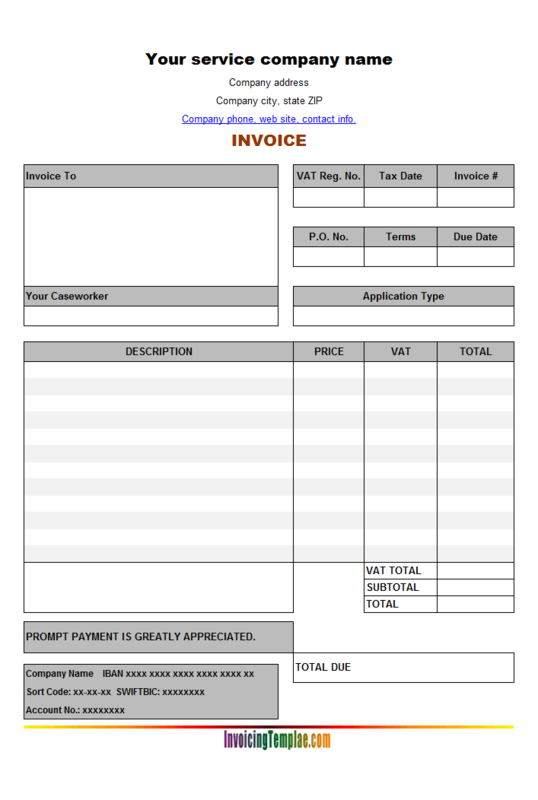 The original design of the medical invoice layout puts 7 columns on a standard A4 paper with Portrait paper orientation. 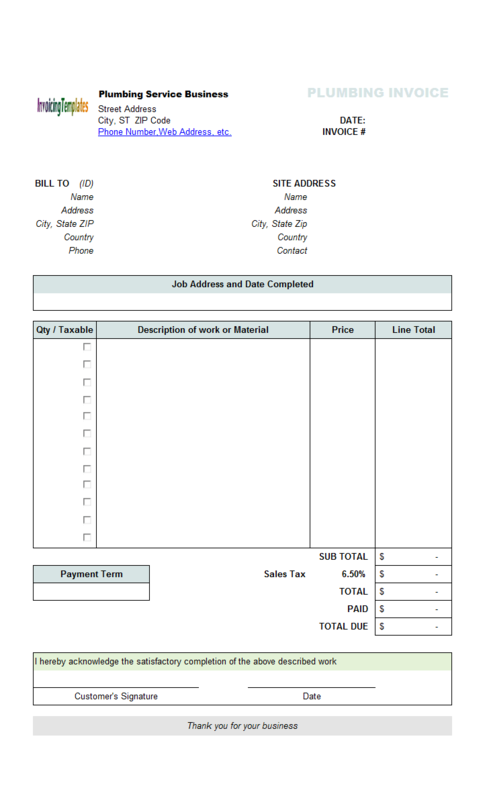 While the original design works well for many situations, someone may find it provides less space for the Description column. 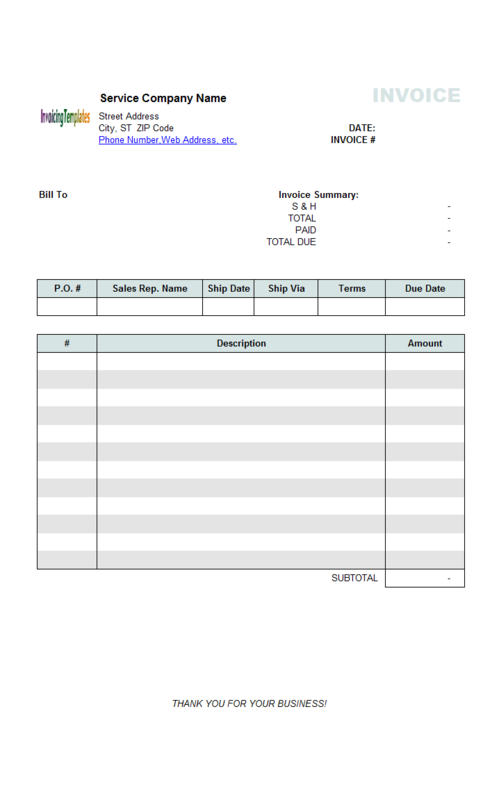 Providing a clear and detailed description for each billed charge is important for a professional hospital bill because it helps patients to understand the bill clearly. 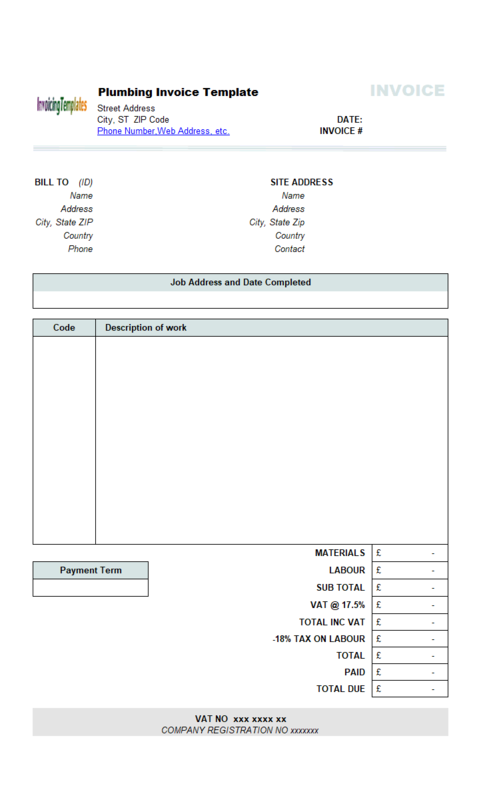 For example, a larger Description will allow you to use everyday language to explain the procedure under the "Description" column. 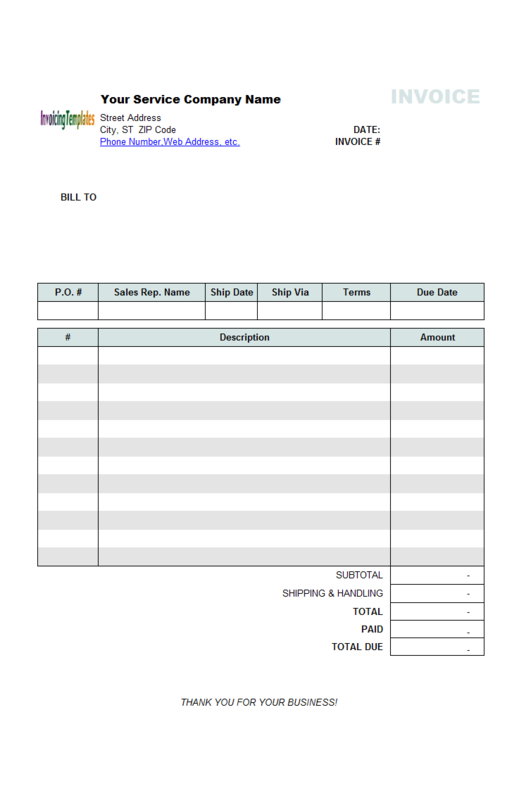 Like the original medical bill sample, the name in the "Bill To" section is not necessary same as the name in the "Patient" section. The patient name, the person whose specimen was processed or actually treated at the hospital, should be put in the "Patient" section. 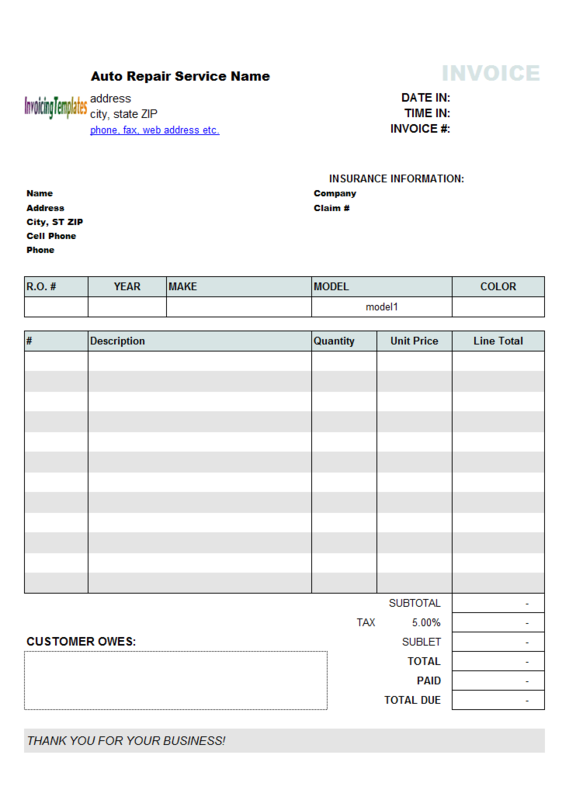 Almost all Excel templates, including this medical bill template, have a default logo image on the top of the invoice form - although sometimes it is moved to the bottom of the form. This is a placeholder logo image that you should replace with your own logo image before you can put the medial invoicing format into production. 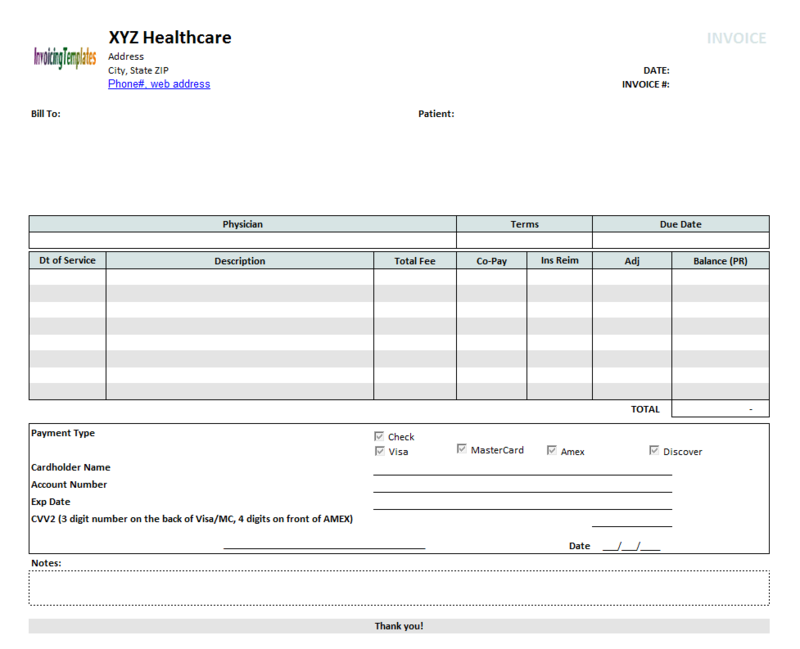 If you are interesting in how we at InvoicingTemplate.com design this Medical Bill Sample based on the original Template (1), here are the main procedures - Unprotect the Invoice worksheet, switch to design mode, display gridlines and row/column headings, set paper orientation using the Page Setup dialog box, resize columns - this is sample medical invoicing format, our main purpose is to enlarge the Description column, hide some rows. 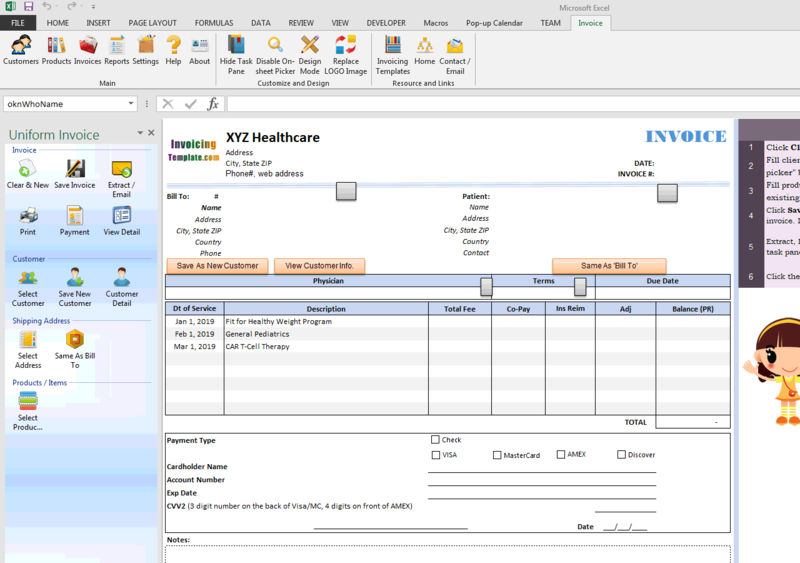 Like Microsoft Word, Microsoft Excel allows you to set paper options through its Page Setup dialog box. In Excel 2003, the Page Setup dialog box can be opened by clicking Excel menu File > Page Setup. With Excel 2007, Excel 2010, Excel 2013 and Excel 2016, the command for opening Page Setup dialog box can be accessed through Page Layout ribbon tab > Page Setup group and then click the arrow button on the group. 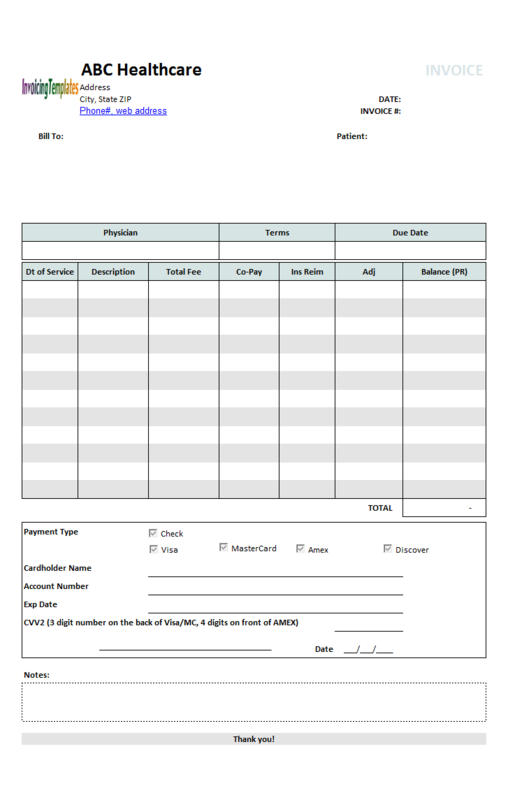 The Page Setup dialog box offers various options for you to control the printing and layout of Medical Invoice Template (2). 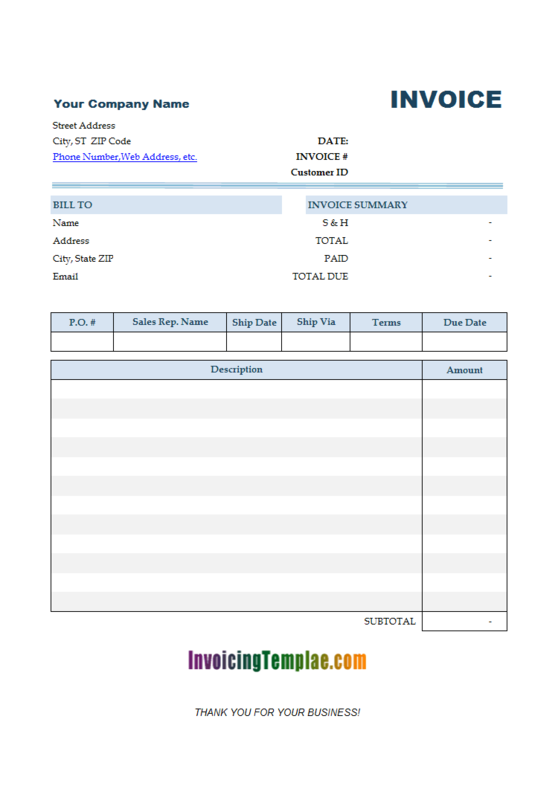 This customized sample medial invoice form has a PDF version too, which you can view by clicking here. 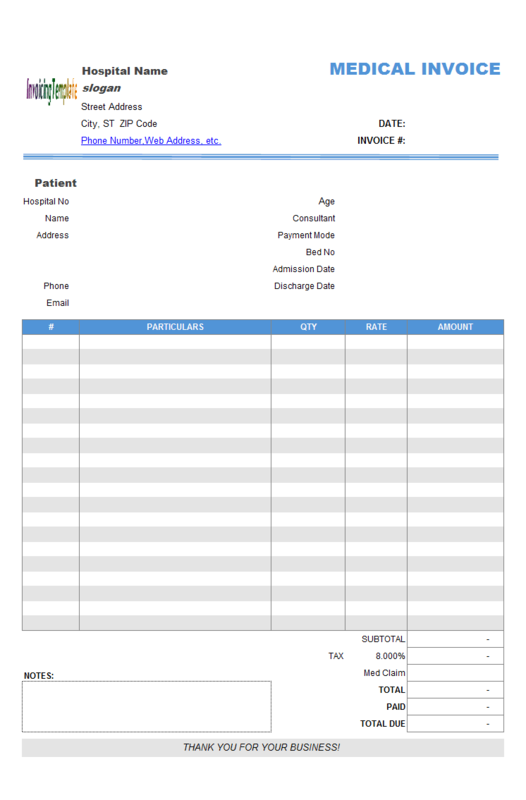 Like other form designs here on InvoicingTemplate.com, Medical Billing Form (2) is free (offered to you at a price of 0.00USD). It works on Windows XP and all newer versions of Windows, and Excel 2007, 2010, 2013 or 2016.